The Watercolor Bible is a quick start reference guide for new watercolour artists and learners. It's a 304-page paperback, larger than handbook size. This edition is actually the reprint Joe Garcia's watercolour instructional book that was published in 2006. It's quite a thick book filled with drawing tips and painting techniques, with many examples from the author himself. In additional to watercolour, the book also covers a bit on composition and other drawing techniques. For watercolours, every page spread talks about one particular technique so there are many to check out. There's a small section on colour schemes and mixtures for commonly used subjects such as skin and foliage. The final part of the book looks at popular subjects to draw. Again, every page spread deals with one subject, briefly talking about the important points towards creating each particular watercolour artwork. It's a good reference. 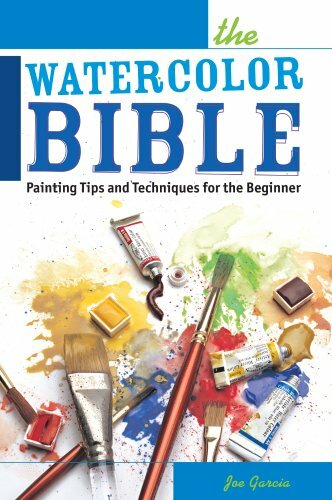 I find it quite similar to another book that I've reviewed recently, The Watercolor Artist's Bible which is more hands on with more step-by-step tutorials.